North and South Korea agreed on Tuesday to modernize and connect railway systems between the two countries on both the east and west coasts of the Peninsula and to commence the project “at the earliest possible date,” a joint statement read. The press statement was issued after Seoul and Pyongyang concluded working-level talks on inter-Korean railway cooperation, which kicked off at 1000 local time at the Peace House on the southern side of Panmunjom. 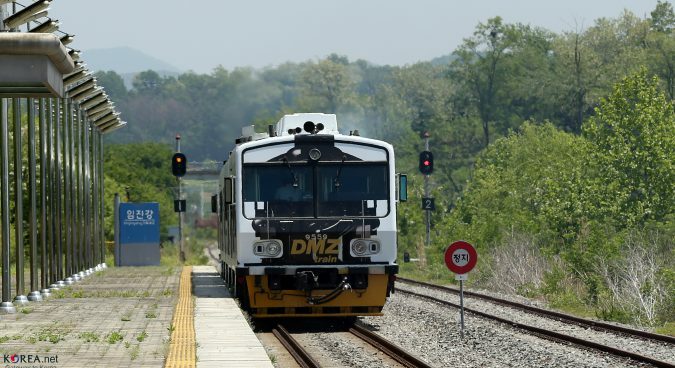 The two Koreas agreed to “carry out the connection and modernization of the Donghae and Gyeongui railways at a high level,” according to the statement. The Donghae railway line runs along the east coast of the peninsula while the Gyeongui line connects Seoul and Sinuiju. To this end, both sides agreed to “set up practical measures in detail including blueprint and construction methods for railway modernization”, the statement read. Tuesday’s talks stemmed directly from the Panmunjom Declaration issued at the inter-Korean summit on April 27, which committed both parties to implement projects previously agreed in the October 4, 2007, inter-Korean agreement. The Panmunjom Declaration listed the adoption of measures towards connecting and modernizing railways and roads on the eastern corridor and the Seoul to Sinuiju line as a first step. As part of the initial steps, the two Koreas agreed to conduct a series of joint surveys and inspections of various locations key to the railway project, with the first scheduled to commence in July. The two Koreas also agreed to hold a ground-breaking ceremony “at the earliest possible date”, though according to South Korea’s chief delegate – Kim Jeong-ryeol – this would simply represent an announcement that the project has commenced and would not represent any physical construction work. This and other aspects, however, seemed to be points of contention for the North Korean side. 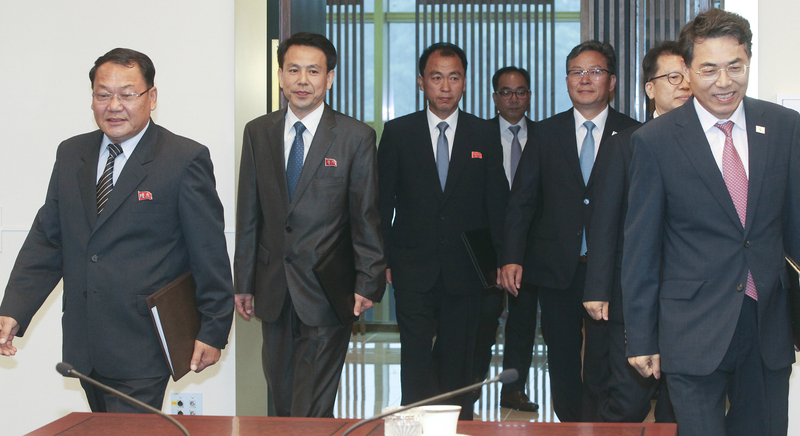 During the final round of the meetings, DPRK vice-minister of Railways and chief delegate Kim Yun Hyok said both sides “could not share the view on the schedule of implementing” practical measures for the project. However, he admitted that “there were slight differences” regarding the schedule for pushing certain aspects of the project forward, including the joint inspections, the groundbreaking ceremony and support tasks. Earlier in the day, prior to his departure for Panmunjom, Kim also said that sanctions could be an issue for the project. “There is the limitation due to sanctions, but there are a lot of things that can be pushed forward after the sanctions are lifted and these need to be sufficiently researched,” Kim said. Speaking at a news conference following the meeting, Director General of Inter-Korean Exchange & Cooperation at the Ministry of Unification (MOU) Lee Joo-tae said Seoul will proceed with the projects while “closely consulting every process with the international community” so as not to violate sanctions. The inter-Korean meeting on railway cooperation is the first to occur in more than 10 years, with the two sides last staging similar meetings in January of 2008 at the now-shuttered Kaesong Industrial Complex (KIC). Previous attempts to boost railway cooperation have been largely unsuccessful. In May 2007, the rail lines along the Donghae and Gyeongeui tracks on the eastern and western coasts of the Peninsula underwent test operations. A total of 448 freight tests were also conducted between Munsan and Bongdong stations from December 2007 to November 2008, data provided by the MoU shows, however, this ended when Pyongyang unilaterally suspended the service. Subscribe to read the remaining 607 words of this article.